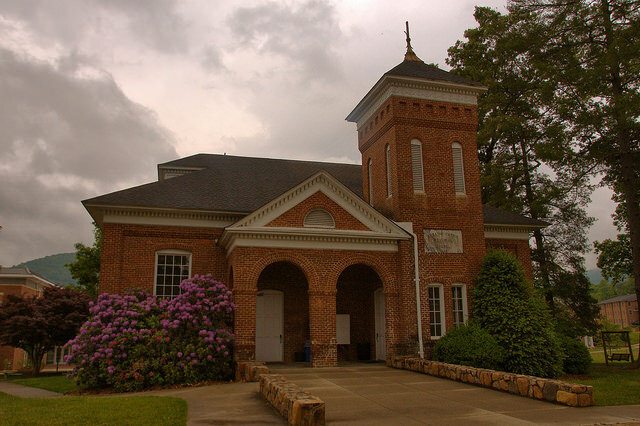 Sharp Hall houses the office of the college president, the Myers Student Center and the campus bookstore. The lower floor was the dining hall when I was a student here. Built as a memorial to the wife of Young Harris College’s benefactor, Judge Young L. G. Harris, this lovely chapel has been the center of student life on campus since its construction. It was renovated in 2009. When I was a student here, it was a place of refuge but also a place of learning. I was fortunate to hear a reading by the late novelist Raymond Andrews here in 1988. 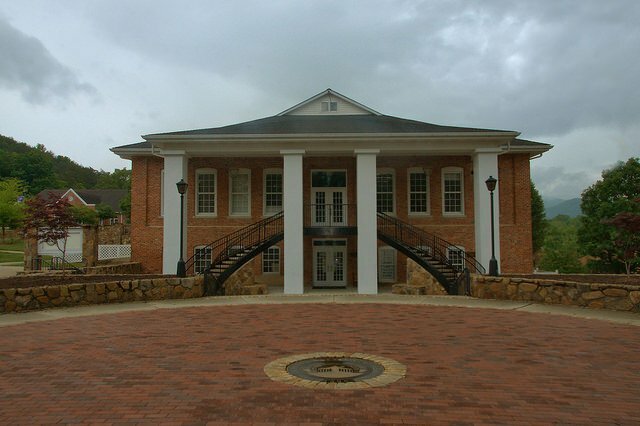 When I was a student at Young Harris College, in 1988 and 1989, this was one of my favorite places. Years later, it’s charm remains. 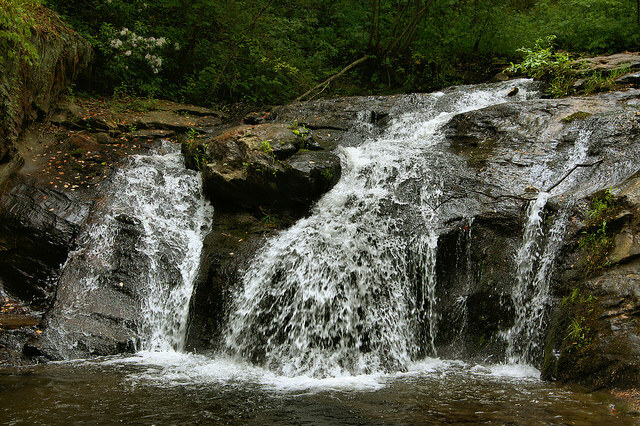 It’s one of the most accessible waterfalls in all of North Georgia, even if it’s barely over ten feet in height. It’s more easily seen from the small park above, but a short walk down to the creekbed affords this view. (Be careful if walking down for this view, however, as the rocks are a bit difficult and always slippery). Ample free parking is available at the Corn Creek Preserve on Thomastown Road, which also features a couple of short trails, a children’s interpretive garden, and a marker commemorating the old mill which once operated here. It’s no surprise the name Cupid Falls was chosen for this small wonder of the mountains. It’s easily the most romantic place near campus, and generations of students have taken advantage of its seclusion and natural beauty. If you’re having trouble finding it, just ask anyone on campus and they’ll gladly point you in the right direction.